Decisions about allocations of scarce resources are made every day. Some are small and subtle, Others are large and dramatic. You as a manager need good data and insights into the products or product lines in your Company's portfolio if you are to make effective, profitable decisions. You must be prepared to provide yourself with insights into the relative costs, expenses, incomes and asset needs of the product lines if existing financial reports don't give them to you. 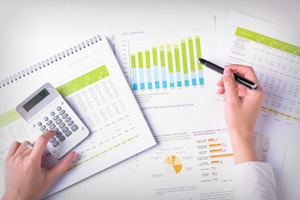 This course deals with the fact that, as an operating manager your needs for information probably won't match what the accounting department provides. The course uses activities as a basis for a do-it-yourself approach to finding the resources "dedicated" to each product line. It teaches focus on people and per-capita local "overheads" rather than on blanket "fixed costs" It suggests alternatives for expense allocation, with concentration on measurement of activity. The course stresses the importance of identifying the assets associated with each product line. It shows you how to make your own estimates of those assets and correlate them to your Company's balance sheet. The course shows you how to develop a measure of the real costs of those assets to each product line and use it in an overall assessment of profitability. Understand what the accounting department will provide, and what they won't. Create and use departmental "overheads"
This course is designed for Marketing or Product Managers who want to be able to take action to increase the growth and profitability of their product line(s). This includes executives faced with decisions, major or minor, about allocation of or cuts in scarce resources across product lines. It is highly recommended that participants take the "Finance and Account Concepts," course on the morning of the first day, as a prerequisite for Product and Product Line Profitability Modeling. Developing a healthy aversion to "fixed" costs. You will receive a completely structured Microsoft Excel ™ Product/Product Line Template Template for your own use. During the workshop you will use it in the exercises to provide a complete understanding of the principals involved. After the workshop it will be the basis for your product/product line analysis. Contact a Quest Team representative today to discuss how Product and Product Line Profitability Modeling can empower your team.